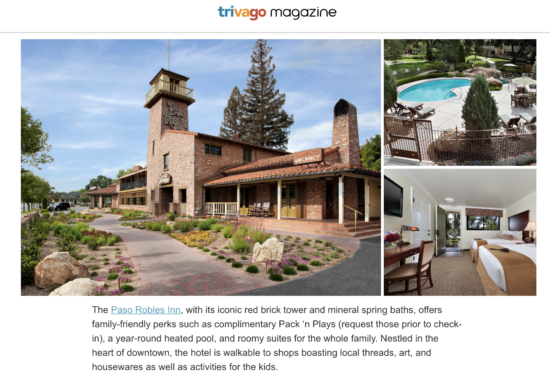 In Spring 2018, we wrote about the Paso Robles Inn as part of the nationally distributed “Spring Screening: Unplug from Tech and Get the Family into Nature” article by global hotel search platform Trivago and its online magazine. 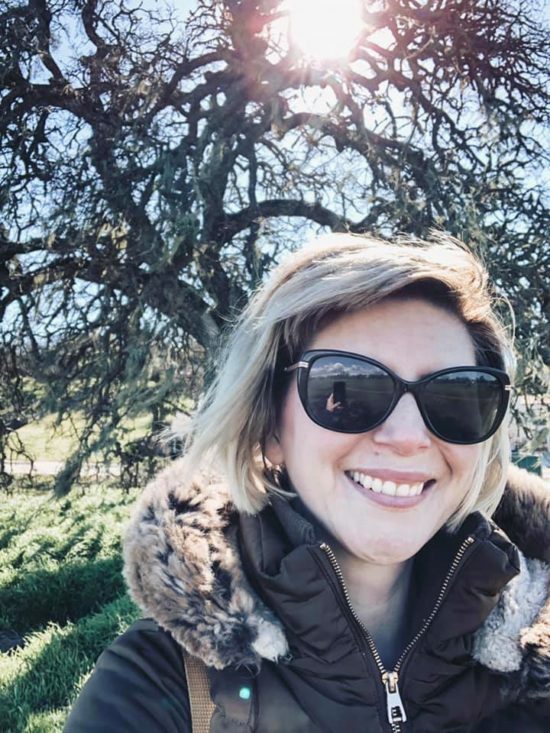 Break free from your winter rut this spring and envelop the family in quintessential Americana in Paso Robles, California. 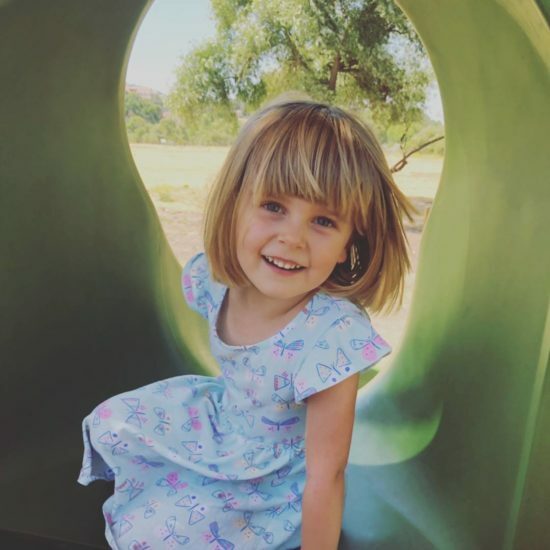 Located midway between San Francisco and Los Angeles, this family-friendly destination boasts a backdrop of oak tree-dotted hills, picturesque vineyards lush with sprawling vines and fruit, and one of the best historic downtowns on California’s Central Coast. Spanish for “Pass of the Oaks,” Paso Robles is known for its sunny climate, its wine, and its small-town tranquility. 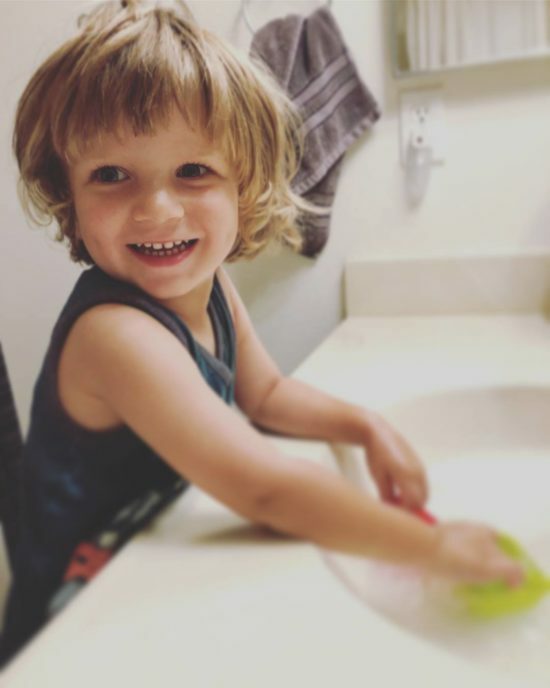 The Paso Robles Inn, with its iconic red brick tower and hot tubs, offers family-friendly perks such as complimentary Pack ‘n Plays (request those prior to check-in), a year-round heated pool, and roomy suites for the whole family. Nestled in the heart of downtown, the hotel is walkable to shops boasting local threads, art, and housewares as well as activities for the kids. Take a downtown stroll. Start in the hotel’s gardens to feed the meandering koi with free cups of fish food from the front desk. Then swap out some weekend reads at the Little Free Library stand out front. Across the street, you’ll find City Park’s shiny new merry-go-round and four-seater seesaw. One block northwest, crawl through a giant oak tree and take the wheel of an antique fire truck at the Paso Robles Children’s Museum. End your afternoon at SLO Sweets, 840 11th St., with scrumptious squares of chocolate.